When I still lived in New York, going to another state was not such a big deal. It just a short trip to Connecticut or New Jersey, and not too long to get to points beyond. But in California, it takes several hours and a couple hundred miles along I-80 just to get to our closest neighbor, Nevada. And with the Presidential primaries and caucuses next moving to Nevada, we thought we would pay our neighbors there a visit. Traveling back on 447 from Burning Man during daylight hours, one gets to see more of the landscape, including Pyramid Lake. The highway actually ends at the edge of Fernley, and one takes several small roads through town to get back to I-80. I saw these cars along the way. 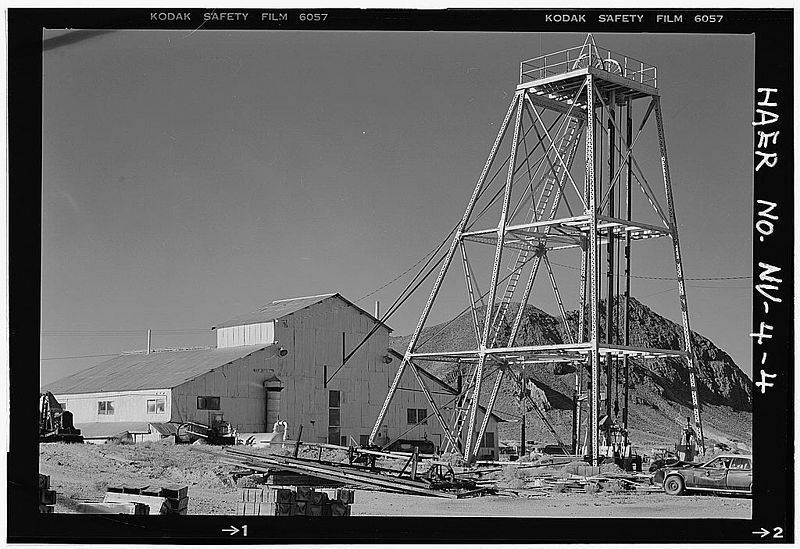 Its history and reputation as a center of the gaming industry, along with the glitzy lights and oversized casinos, predates the rise of Las Vegas. But it is also home to the Nevada Museum of Art, which bills itself as “the only accredited art museum in the state of Nevada.” The building itself is a work of art, and its design is meant to reflect the natural landscape including Black Rock Desert. From Reno, one can travel south on US 395 towards Carson City, the state capital – one of only a few state capitals not connected to an interstate highway. From here we can either continue south on 395 back into California along the eastern Sierra, or turn onto US 50 into the interior of Nevada. US 50 was the subject of our Nevada article last election cycle. It is nicknamed “The Loneliest Road in America.” Although the name was first used somewhat pejoratively, I find scenes like this with a straight line and stark natural landscape quite inspiring. The road is not always this straight and empty. 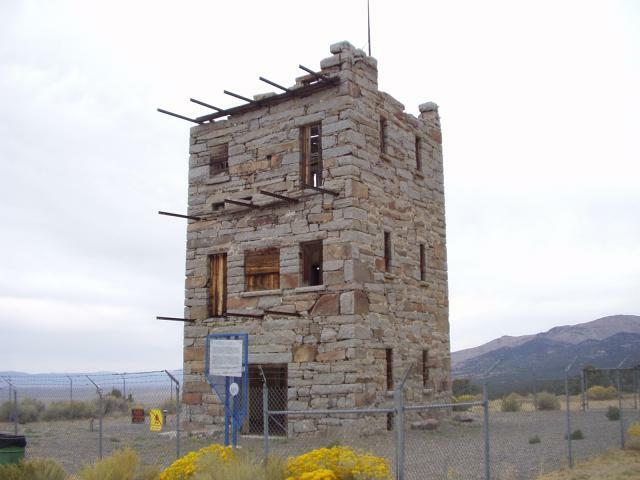 It crosses several mountain passes that break up the Great Basin and the Nevada desert, and passes by odd landmarks like this small castle-like structure, Stokes Castle. It is hard to tell when this photo (which comes from the National Park Service) was taken. This photo is from 375 in Sand Spring Valley, which contains the tiny town of Rachel (population approximately 100). Although it is quite small, it does its best to capitalize on Area 51 and the Extraterrestrial Highway with Alien themed business. A mailbox further south along the highway is purportedly used by UFO seekers to share information. Highway 375 ends at the ghost town of Crystal Springs. This sounds like it would be interesting if some of the original buildings are still there, though I cannot find any photos of this. Nearby, one can pick of US 93 and head south towards Las Vegas. Our quiet journey through the interior of Nevada comes to an end as US 93 merges with I-15 and form a major freeway heading into the sprawling Las Vegas metropolitan area. The highway cuts into the city itself, and parallels “The Strip”, aka South Las Vegas Boulevard. I have to admit, my visit to The Strip in 2002 was not a particularly fun experience – although I did have a bit of fun with “fake New York.” It was a combination of factors that cannot be blamed on the city or its resort industry per se – though the expense of even basic items and services was an issue, and the fact that it felt more like a gigantic shopping mall with slot machines than an infamous den of vice and questionable entertainment was a disappointment. I would be willing to give it another chance sometime, particularly in the context of a larger travel and photography trip. Turning onto I-215, one rejoins US 93 (and I-515). 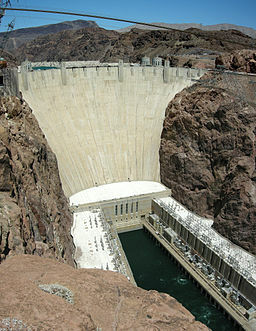 Heading south on US 93, the development thins out once more and the road continues to the Hoover Dam. This is literally the end of the state.